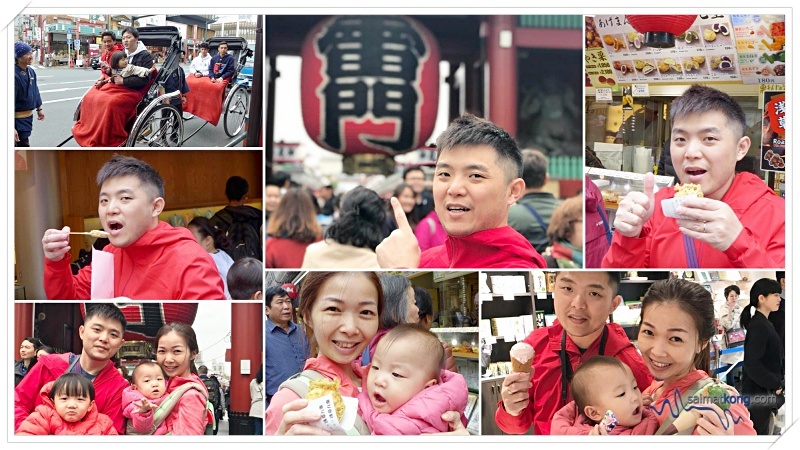 Asakusa (浅草) is one of the famous and must-visit attractions in Tokyo. 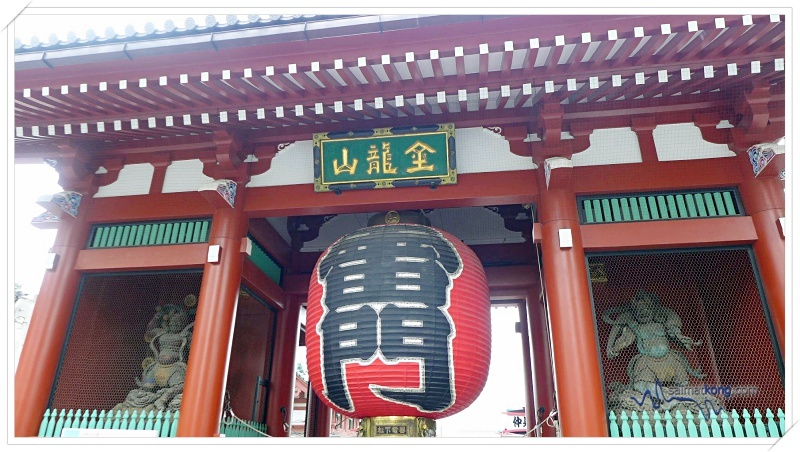 During the Edo era, Asakusa was used mainly as the food (mainly rice) stocking place. After the Meiji era, various entertainment halls and theaters were built in the district and Asakusa was renowned as the cultural hub of Tokyo. 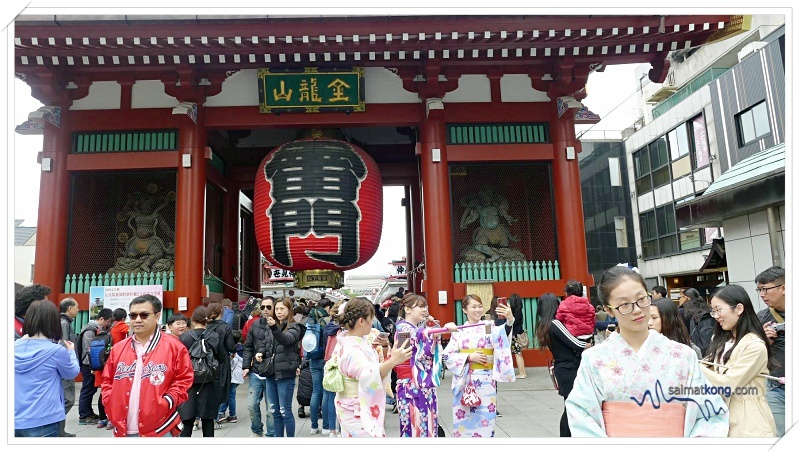 Today, Asakusa is an amazing place where you can experience both traditional and modern Japanese culture! 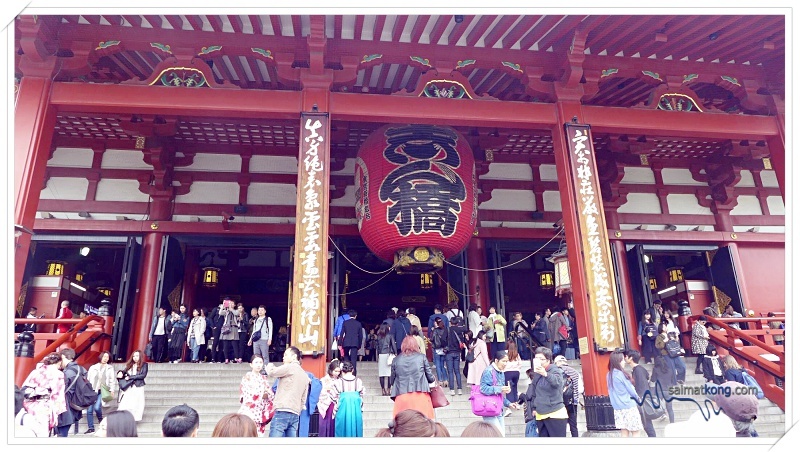 This post, I’ll be sharing with you highlights of my trip to Asakusa. With so many things to see, eat and do in Asakusa, you can easily spend a whole day exploring Asakusa. 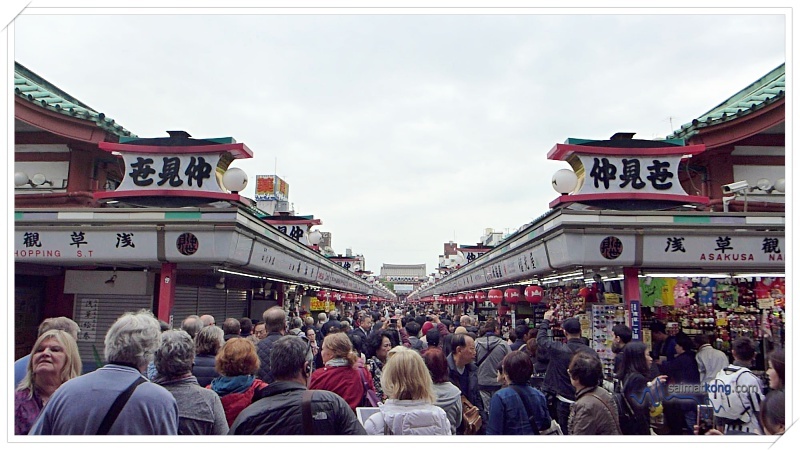 What to See & Do in Asakusa? Kaminarimon is the first of the two outer gates leading to famous Senso-ji. Built more than 1000 years ago, Kaminari Gate or also known as “Thunder Gate” is Asakusa’s most famous landmark. 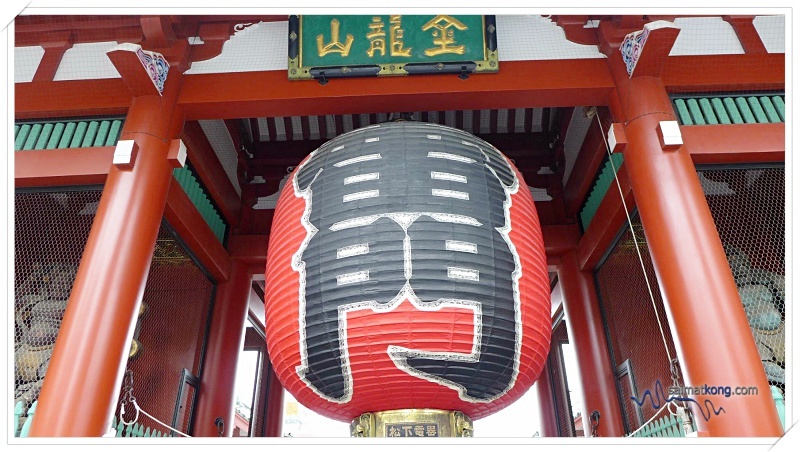 This huge red paper lantern (“chochin”) is an iconic symbol of Asakusa. 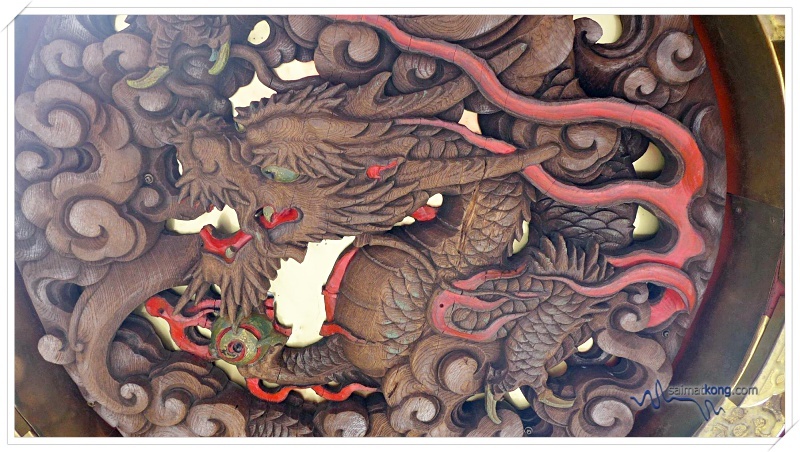 Impressive and detailed dragon-shaped engraving at the bottom of the lantern. Obligatory photo with the impressive Kaminari Gate and the giant red paper lantern. If you’re looking for a unique activity in Tokyo to experience Japanese culture, you can try this Kimono Experience from Klook where you get to wear authentic kimono and stroll the historic streets of Asakusa. 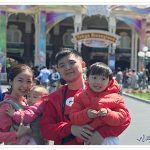 I strongly suggest for you to book your kimono rental in advance to secure your slots as the place is always crowded and this is a very popular activity in Asakusa. 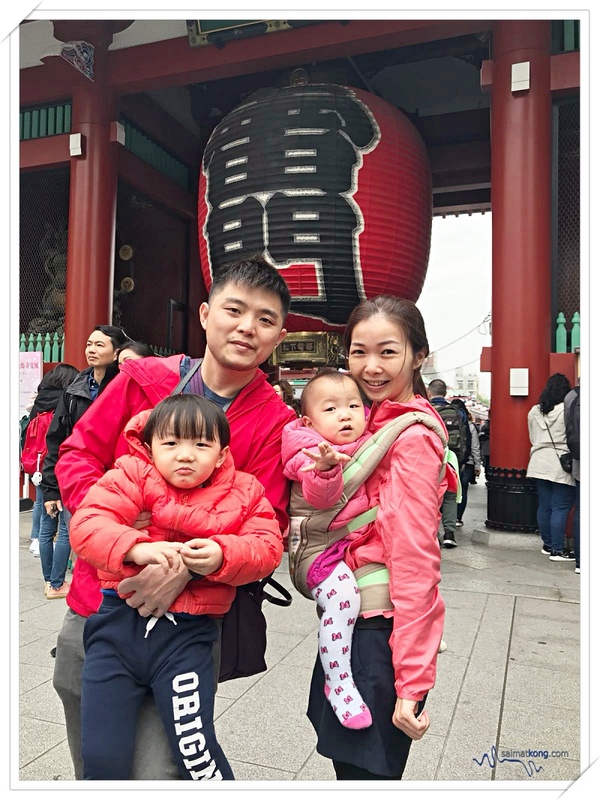 The Kimono Experience from Klook offers a variety of packages designed for individuals, couples, friends, graduating students and best of all, services are in English, Japanese or Chinese. 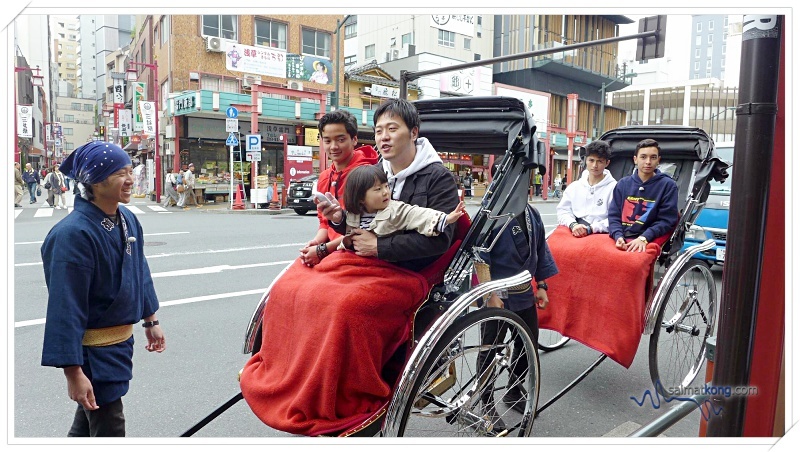 Besides the Kimono Experience, you can also explore Asakusa’s popular tourist destinations with Asakusa Rickshaw Tour. The Nakamise Shopping Street is one of the oldest shopping streets in Japan that leads to Senso-Ji, Tokyo’s oldest and most popular temple. 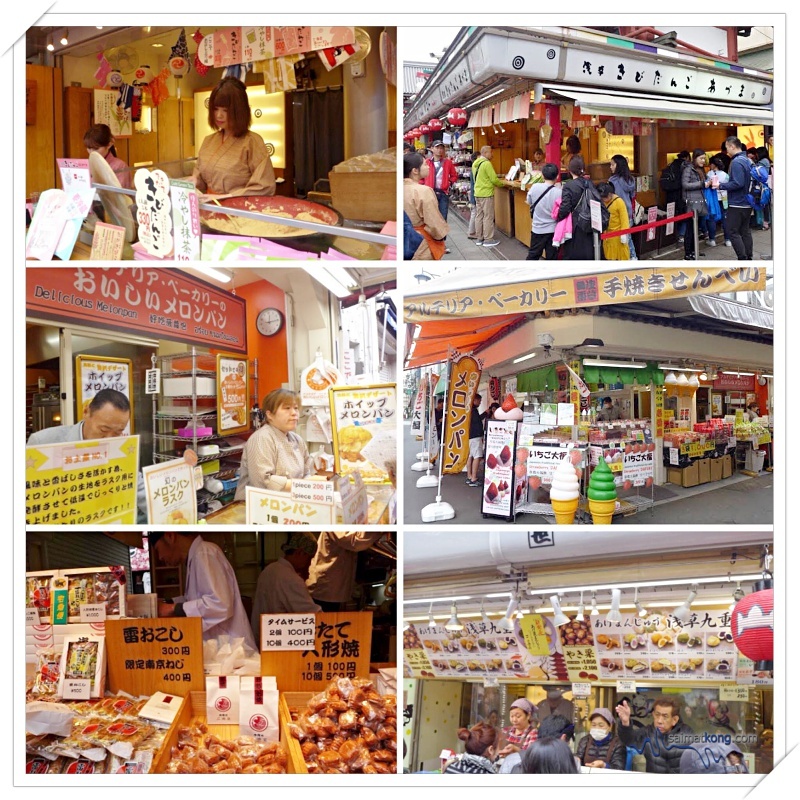 There are more than 50 shops offering a variety of local snacks and tourist souvenirs such as kimono, yukata, lucky charms, keychains, paper lanterns, samurai swords and folding fans. As you walk along the colorful Nakamise Shopping Street, there are plenty of stalls selling a variety of street food and snacks. You will see the Hozomon Gate after passing through Nakamise-dori Street. Senso-ji is Tokyo’s most famous and oldest temple. It’s a must-visit tourist attractions in Tokyo. 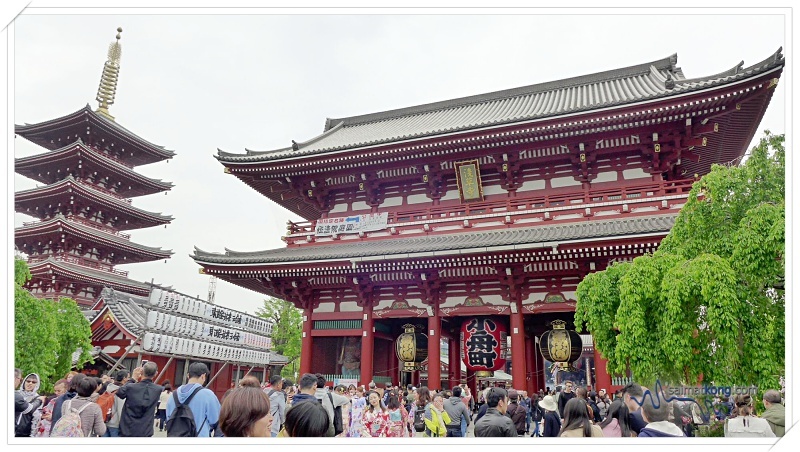 Asakusa Shrine, also known as the Sanja-sama (Shrine of the Three Gods) is located just right next to Senso-ji. The popular festival, Sanja Matsuri is held there every year in May. This five-storied pagoda in Asakusa is the second highest pagoda in Japan. Nice view of Tokyo Skytree from Asakusa. Ningyo-yaki (人形焼) is a small snack cake made using batter of flour, eggs and sugar in an iron mold filled with anko (red bean paste). There are many shops selling Ningyo-Yaki in Nakamise Street, Kimuraya Ningyo-yaki Main Branch 元祖木村屋人形焼本舗 is the most popular shop for ningyo-yaki. 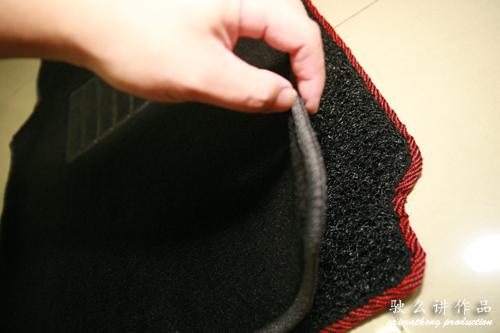 The ningyo yaki comes in shape that resembles five-storey pagoda, Japanese lantern and pigeon. 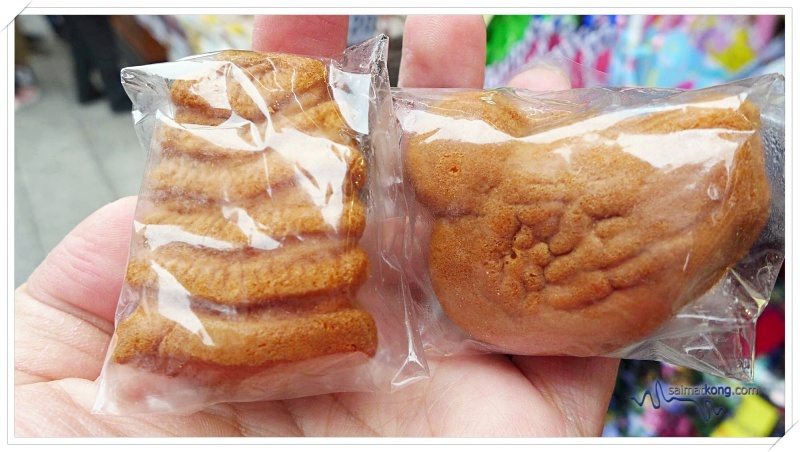 There are also shops around Tokyo that sell these snacks in the shape of cute characters like Hello Kitty, Doraemon and Pokémon too. 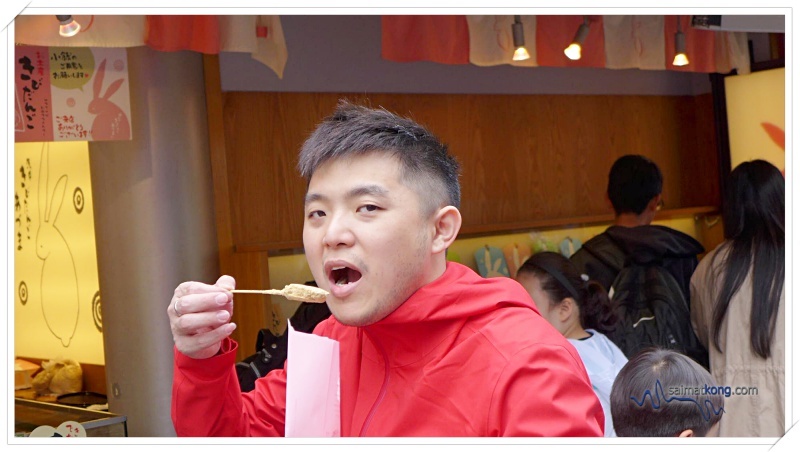 Kibi Dango is a type of Japanese sweet dumpling made using mullet and Mochi flour, coated with roasted soybean powder. The Kibi dango has a soft, Mochi like texture with a mild sweetness. 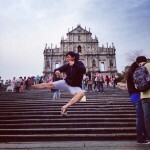 It pretty much reminds me of ‘muah chee’. Melon-pan is a Japanese soft baked bread with a top layer of sweet crunchy cookie that resembles a melon. 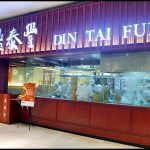 Their jumbo melon-pan is perfectly crisp outside but fluffy inside and it’s best eaten warm. 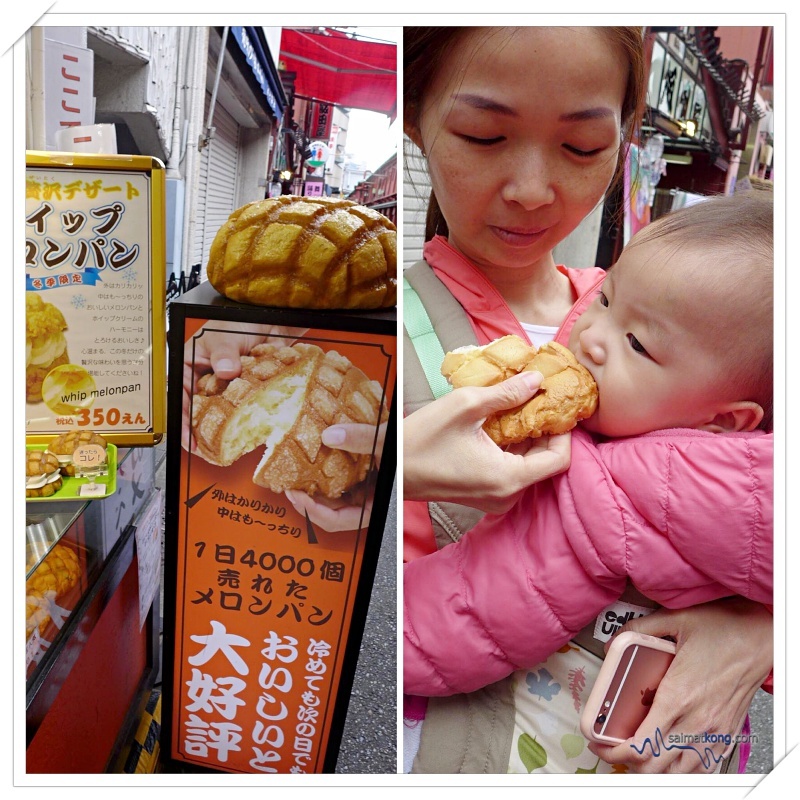 One of the famous bakery specializing in jumbo-sized melon pan is Kagetsudo Asakusa. Suzukien Asakusa Nanaya Gelato 壽々喜園浅草本店 is a collaboration between Suzuki-en, an old teahouse and Nanaya Gelato, a gelato shop form Shizuoka. 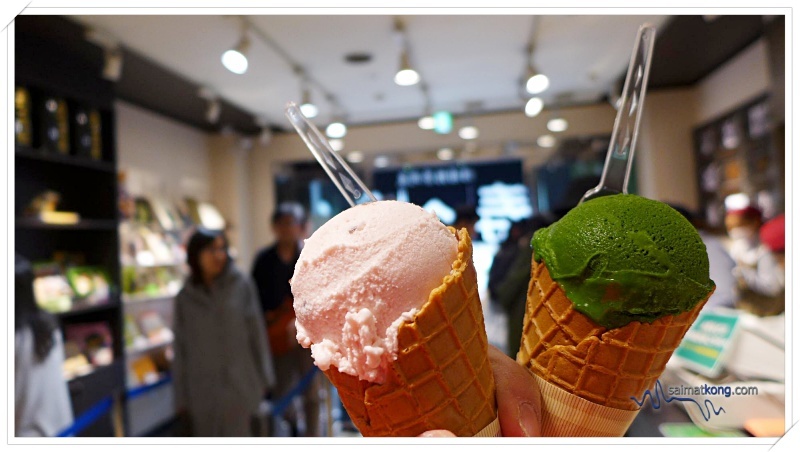 This is one of the stores in Japan where you can have the world’s richest green tea (matcha) gelato! 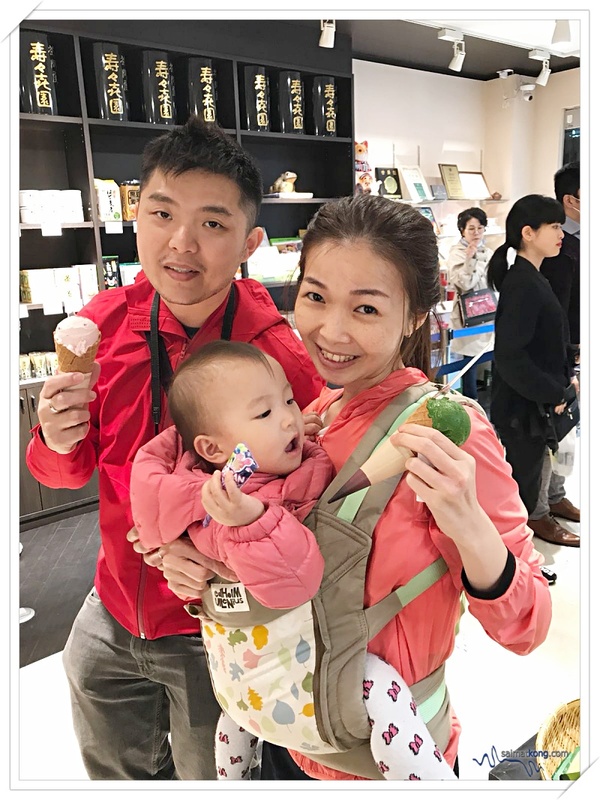 If you’re a matcha lover, you’re gonna love the matcha ice cream from Suzukien. There are 7 different levels of Matcha intensity for you to choose with Level 1 being the least bitter and least rich matcha taste to Level 7 for the richest matcha taste. For matcha lovers, go green all the way to Level 7 for a very rich and intense matcha flavor. One lick it feels like you’re in matcha heaven! 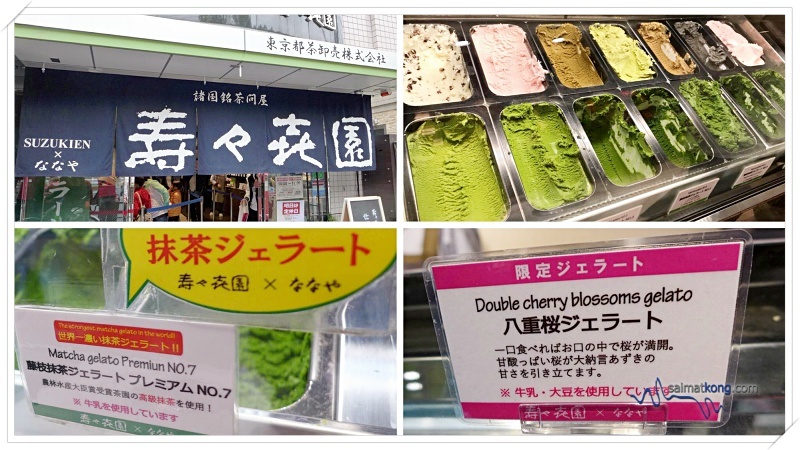 Since it’s the cherry blossom season, we also get to try ‘Double Cherry Blossom’ flavor which has a sweet, fruity and nice Sakura scent. Love it! 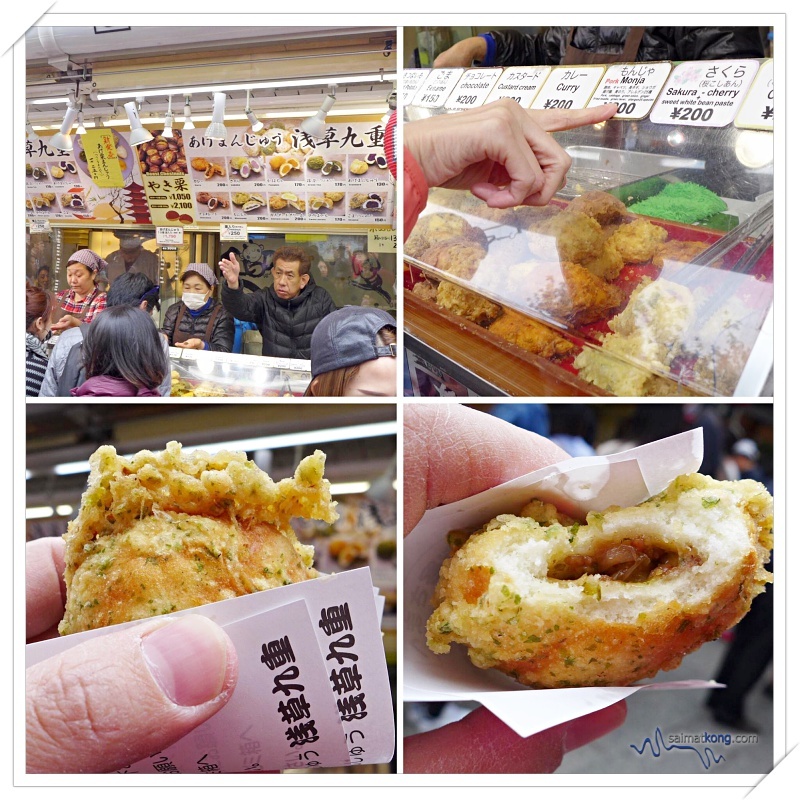 Agemanju is one of the popular Japanese snacks in Asakusa. Age means ‘fried’ and manju is a type of Japanese sweet cake filled with various fillings such as red bean, matcha, pumpkin, custard, sweet potato, sesame and seasonal flavor like Sakura + sweet white bean paste. So, agemanju is actually deep-fried sweet cakes. We got the agemanju from Asakusa-kokonoe 浅草九重, a famous stall at Asakusa as their agemanju is very tasty and they offer a variety of flavors! 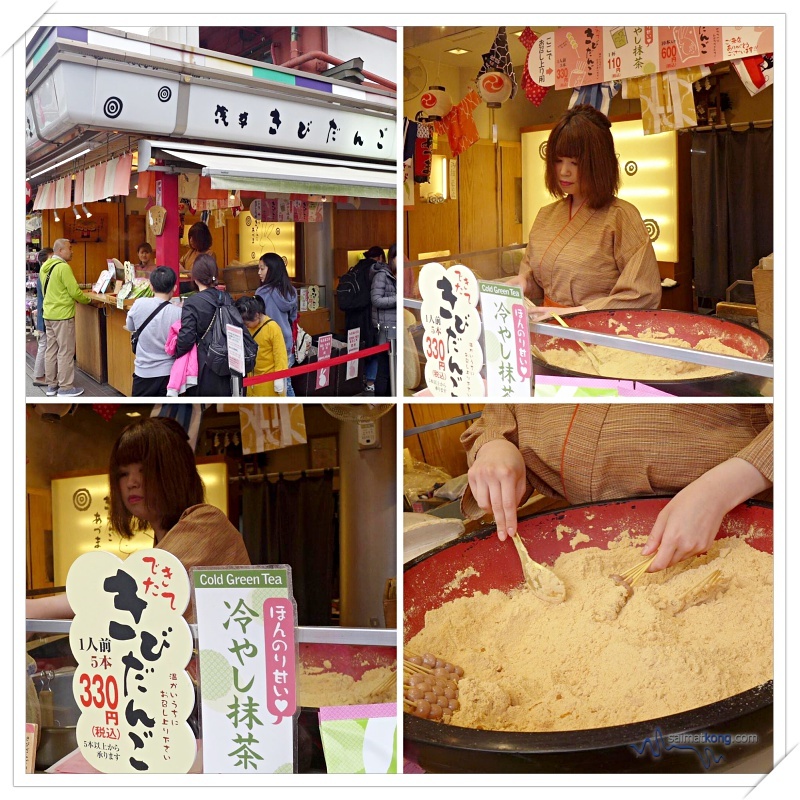 We selected pork monja flavor which fillings such as pork, cabbage, green onion, ginger, fried noodle, green laver and spices. Unlike other flavors which are sweet, this is savory and it feels like we’re eating fried monjayaki. First, you need to get your Tokyo Subway Ticket, a tourist pass that offer the most cost effective way for traveling around Tokyo. I got mine from Klook which save me so much hassle as I don’t have to find ticket machine to purchase the tickets every time. Nearest station: Asakusa Station on the Tokyo Metro Ginza line, Tōbu Skytree Line, or Toei Subway Asakusa Line. Direction: 5-minute walk from Asakusa Station (Exit 3) of Tokyo Metro Ginza Line, or of the Tobu Skytree Line or Tsukuba Express. A 7-minute walk from Asakusa Station (Exit A5) of the Toei Subway Asakusa Line. 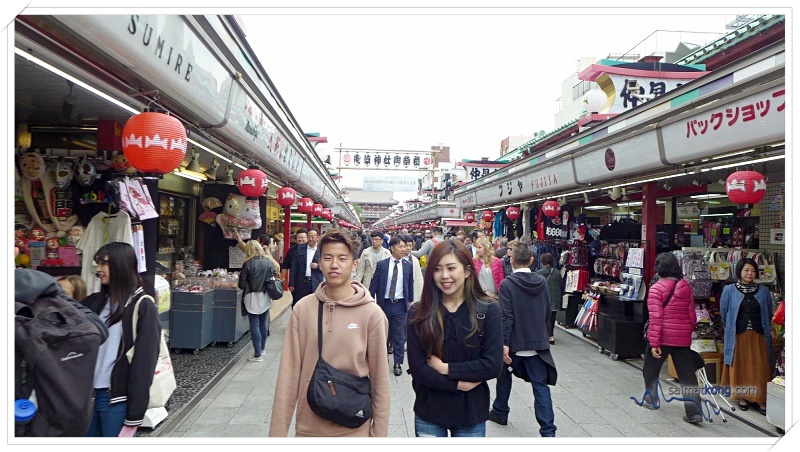 All in all, Asakusa is a nice place to experience both the classic and modern side of Tokyo. 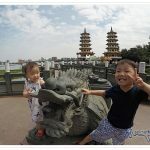 With so many attractions to see (Kaminarimon & Senso-ji), activities to do (Kimono Experience & shopping at Nakamise Shopping Street) and lots of delicious Japanese street food to eat (senbei, dorayaki, dango-Yaki, Menchi Katsu and more), you can easily spend a good few hours here. 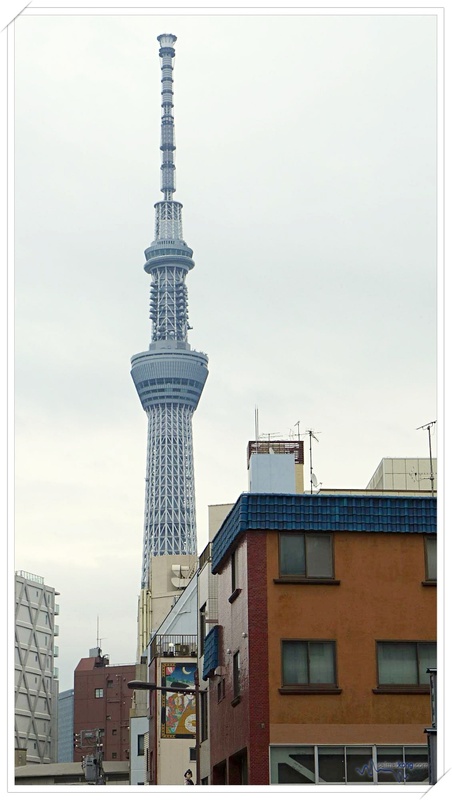 After you’re done exploring Asakusa and still have time, you can walk towards Sumida Park to enjoy a nice view of Tokyo Skytree; which is the tallest building in Japan. 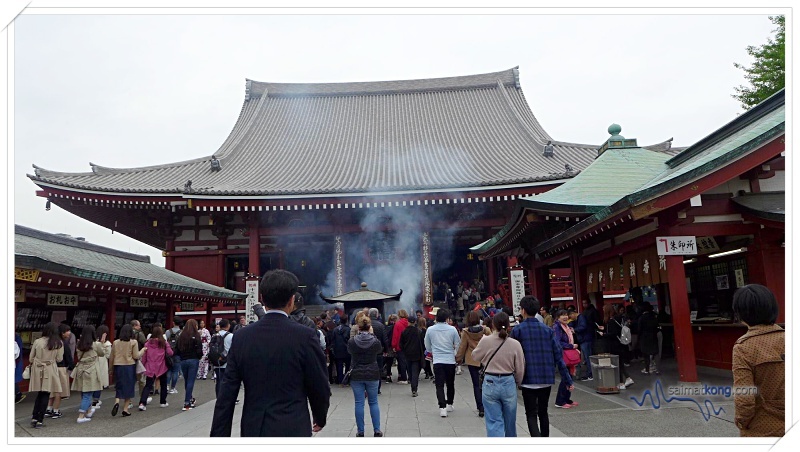 Have fun exploring and visiting Asakusa!